As many of you know, I have been working for some years to dispel the many myths that circulate about penguins. 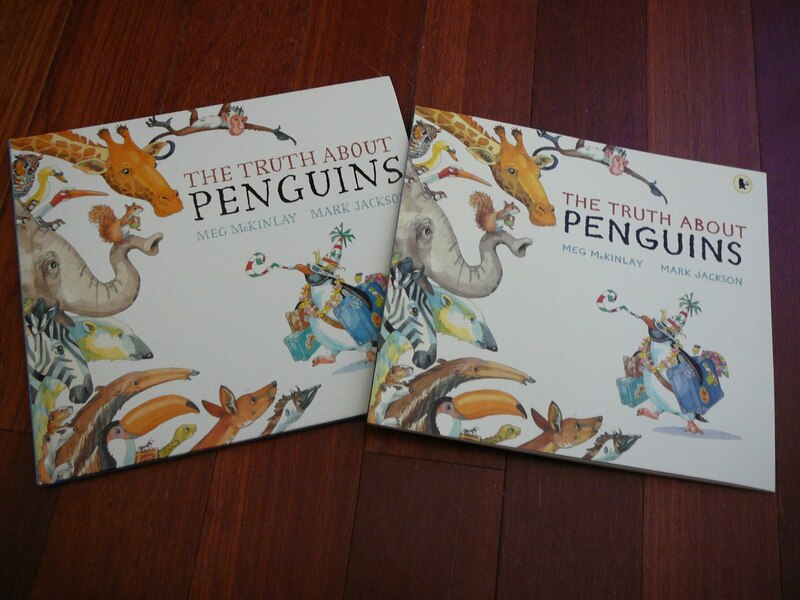 My picture book The Truth About Penguins was an important step in this process. Since its publication, I have gone into schools, libraries, festivals – wherever they will have me – presenting the facts to children young and old. Some of my audience, I find, are more easily persuaded than others. Some are downright stubborn. Earlier this week, to kick off the National Year of Reading, I went down to Kwinana Library. There I attempted, mostly in vain, to preach my penguin-y gospel. This entry was posted in Picture Books, The Truth About Penguins and tagged school visits on January 19, 2012 by Meg McKinlay. It’s my new book, The Truth About Penguins. And my old book, The Truth About Penguins. I’m delighted to announce that The Truth About Penguins will be out in paperback in December, just in time for Christmas. It’s lovely to see my work getting a new lease on life like this, and I can only hope the new format helps it find its way into the hands of even more readers over the coming months. * For the eagle-eyed reader, there is another crucial difference. If you have access to both copies, the last page of text will reveal all. This entry was posted in Picture Books, The Truth About Penguins and tagged paperback, shiny new book on October 24, 2011 by Meg McKinlay. It wasn’t cold or raining. It was fine and sunny. I didn’t have time to catch the bus but that was okay because my thoughtful hosts had reserved a parking space for me. But it was most definitely all happening at the zoo. This entry was posted in Events, The Truth About Penguins on June 20, 2011 by Meg McKinlay. 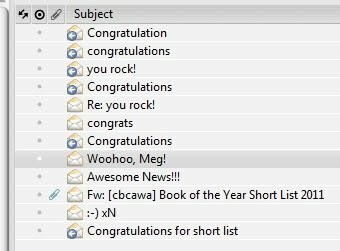 Thank you, lovely, supportive writing friends. Thank you, Children’s Book Council. I never imagined my duck might quack loudly enough to be noticed. I’m thrilled. And I’m mindful, too, of the many books that didn’t make it on to the various lists (Duck is my fourth book, my first listing). With every award, there’s a chorus of excitement and head shaking. What about this one? And that one? Why that one? 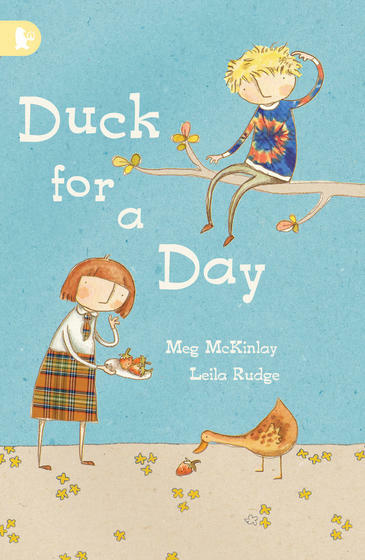 This entry was posted in Awards, CBCA, Duck for a Day, The Truth About Penguins on April 13, 2011 by Meg McKinlay.